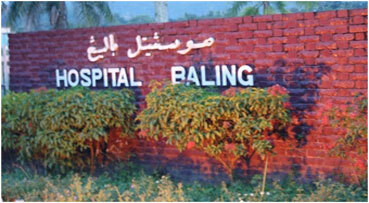 Baling Hospital, which is located in Kedah, is poised to reach specialist hospital status by 2021 upon the completion of its upgrading services. Health Minister Datuk Seri Dr S. Subramaniam said among the 10 areas of specialty at the hospital would be medical, surgical, orthopaedic, paediatric, midwifery, radiology and psychiatry. "Once the new building is completed, the number of beds at the Baling Hospital will increase to 224 from the existing 160 beds," he said. Dr Subramaniam also said there would be an additional of 28 beds for the male and female wards and eight beds for the intensive care unit.